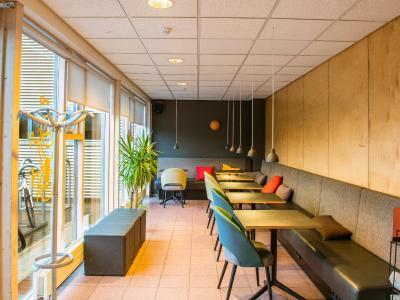 Lock in a great price for Reykjavík City HI Hostel – rated 8.1 by recent guests! It’s a standard hostel. Good price for Reykjavík. Located about a 40 min walk from the center (7 min drive). Bed was comfortable. Parking was easy. 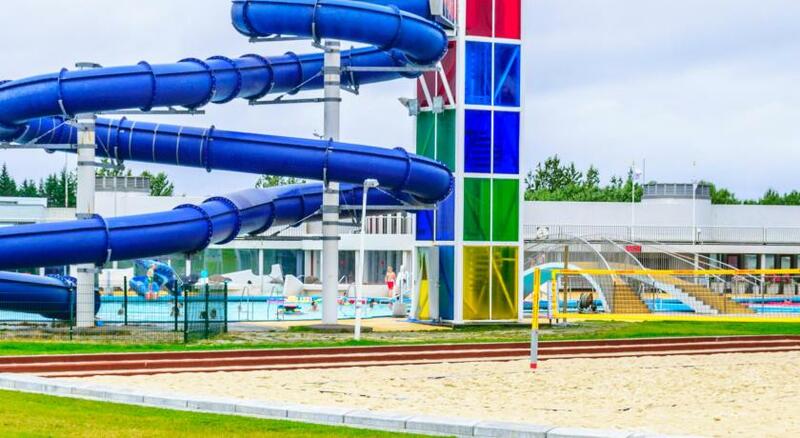 Close to really great public pool and hot dog stand. Great distance from downtown Reykjavik provided you have a car. However I’m 6’5” and I fit fairly well (length wise) in bed which was a nice surprise. If you’re just looking for a place to rest your head then most definitely choose this spot. It’s a 40 minute walk from the city center. Ideal for solo travellers. There’s a kitchen out back and they supply plenty of board games. Big common area to sit around. They have a notice board in the lobby with events in the hostel and city center. Room was a nice size, warm and each bed has its own light and plug. 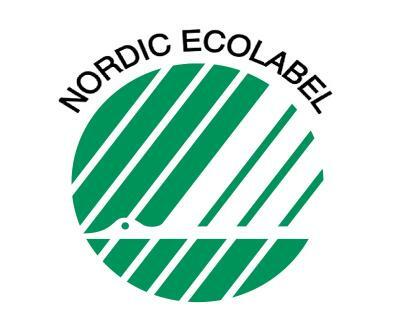 The staff were very friendly and helpful, and the building was very pleasant and clean. With a rental car, it was easy to get around Rekjavik from the hostel, and being around the corner from Laugardalslaug pool was fantastic. Even though it's not in the city centre, I like the location. It's very quiet and clean. The staff is very helpful. 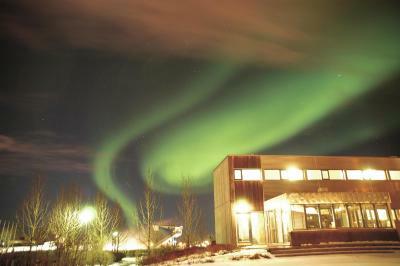 I've stayed here once before and I will likely keep coming back when I visit Iceland. Excellent location, service, view, everything! Very much worth the price. Munir at the front desk was very nice and was able to accommodate all your needs. Beds were comfy. Staff was helpful and polite. The private bath was great and the rooms were very clean! 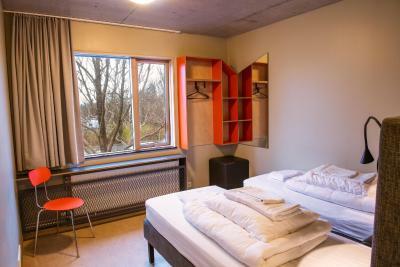 Located 2.2 mi from Reykjavik city center, this eco-certified hostel is beside the geothermally heated Laugardalslaug Swimming Pool. It features a coffee bar, 3 communal kitchens and free private parking. Car and bicycle rentals are possible. 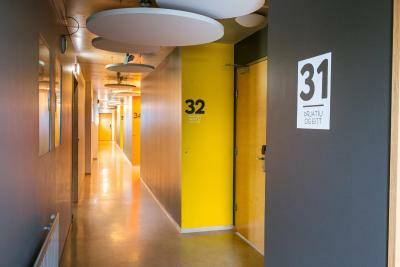 At Reykjavík City Hostel, guests can choose accommodations with either private or shared bathrooms. Free WiFi is available throughout the hostel. City Hostel Reykjavík's breakfast buffet includes organic options. Fairtrade coffee is available in CaféBar. Guests can barbecue on the terrace all year round. Staff can help arrange various activities including horse riding, whale watching activities. Free pick-up service is also possible. 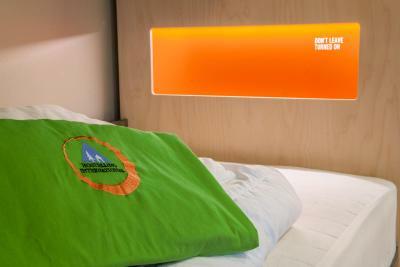 When would you like to stay at Reykjavík City HI Hostel? Simple room for budget travelers. Children under 8 cannot be accommodated in these rooms. Bed linen and towels are not included. You can rent them on site or bring your own. Sleeping bags are allowed. 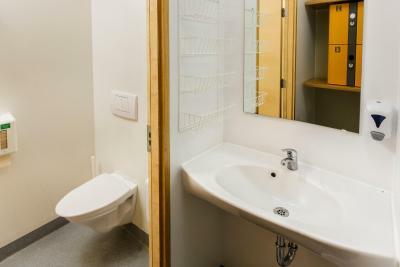 Bright, simple room with a desk and private bathroom. 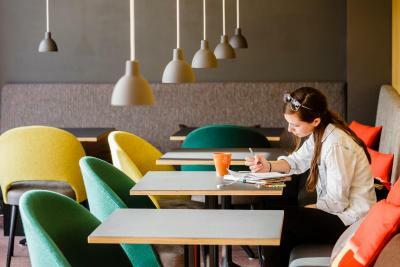 House Rules Reykjavík City HI Hostel takes special requests – add in the next step! Reykjavík City HI Hostel accepts these cards and reserves the right to temporarily hold an amount prior to arrival. 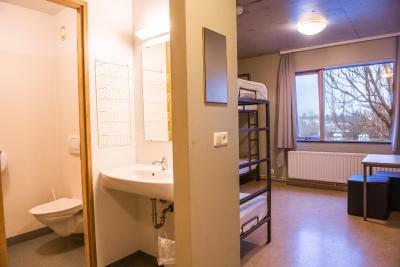 Bed linen and towels are included except in dorm rooms, where guests need to bring their own towels or rent them on site. Please note that children under 8 years cannot be accommodated in the shared dormitory rooms. Small kitchen, some guests didn't wash dishes. The best hostel I have ever stayed so far. The staff was super friendly. Room was super clean, specious. The bunk bed for very comfortable. Enough space for 4 people to keep their luggage in the rooms. Lockers were provided. Bathroom was clean. Laundry facilities are available. Kitchen is very good. We cooked our dinner. There is 2 kitchen and there's just not enough pots and pans in either 1 if multiple individuals are cooking. Shower has a fixed temperature. The extra costs for breakfast and transportation made it almost as expensive as a hostel in the city center. Some of the staff were kind of rude. It was cheap, and some of the staff were super nice and helpful! The staff cleaning the room is really nice. Kitchen felt a little cramped for the amount of people, room was hot. The shared kitchen sometimes has been left not at high standard of cleanliness by the other guests, but it was great to have the possibility to prepare some meals at the hostel. Generally good. we were three friends sharing a room for six to have the ensuite bathroom included. Plenty space into an amazing hostel, great value for money. Good location not far from the city centre and with free parking included. There are 2 kitchens, but in the morning they are very busy. Good position and free parking. It's perfect if you rented a car. A bit more stressful if you have to reach the city center by bus. Not quite enough pots in kitchen. Also scissors would have been good. Very lovely staff. 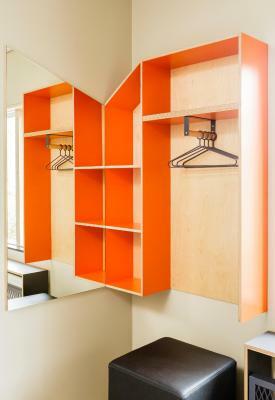 Clean, bright, good spaces. 4 person dorm very good. New shower etc. Breakfast could have had a few more items. The kitchen on one side of the building didn’t have much kitchenware/pots. I think there were only 2 and a group took them and instead of serving in plates and leave the pots for others, they left in the common room with them... had to go cook on the total opposite of the building. The room wasnt cleaned sufficiently and having to make the beds my self seemed silly. The staff were lovley. Helped with every silly little question I could think of. I loved how eco friendly they are and the waste disposal system is exemplary. The price ☹ Most expensive hostel I'd ever payed, and this was my 48th country!